I have really fancied the thought of having underfloor heating in my home at some stage. It’s much less obtrusive and you none of those eye sore radiators on the walls. Dust catchers I call them! The best tool to de-dust a radiator is a clean paintbrush. It gets right into all the little cracks. Anyway back to the purpose of this little post. Underfloor Heating Trade Supplies have put together this quick survey on underfloor heating. I would love you to spare a coulpe of minutes to complete. It won’t take you long – honestly! The survey has only 12 quick questions asking about your thoughts on heating under the floor. I think it has many benefits. Imagine walking on a warm toasty floor, perfect for cold Winter evenings. Or stepping out the shower onto a warm bathroom floor. You would have more room space as no radiators blocking up the wall. The heating underfloor also heats the room evenly amd therefore more efficient. Another benefit is that it may add value to your house. Underfloor heating has that special luxury feel to it. 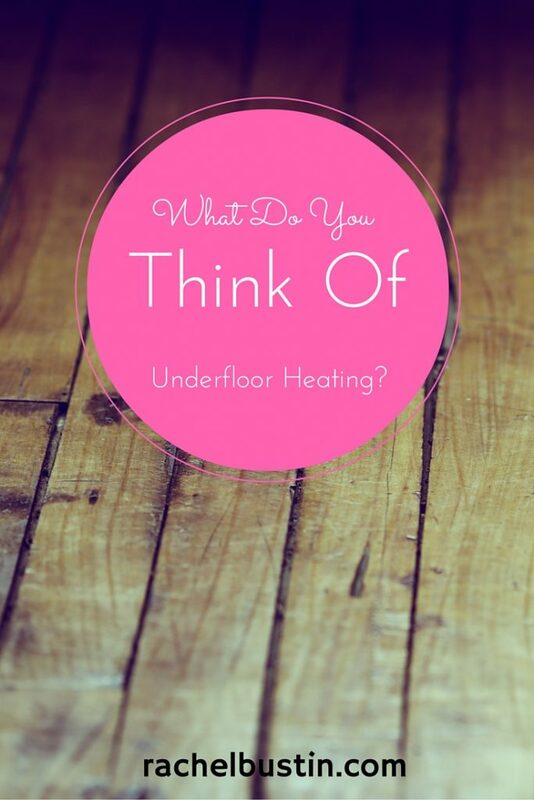 Have you ever considered having underfloor heating installed? I would love underfloor heating. My Mum and Dad have it and it is amazing!